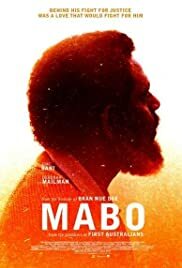 Mabo tells the story of one of Australia's national heroes - Eddie Koiki Mabo, the Torres Strait Islander who left school at age 15, yet spearheaded the High Court challenge that overthrew the fiction of terra nullius. A group of successful female executives who have been friends since college turn to each other for guidance as they juggle their careers with family in New York City. The true story of one man's epic fight to change a nation. Davy: I'm sick of being me! I think the summary says it all. Dramatised as it is, everyone in Australia should watch this film to understand, and maybe even feel the very, ordinary human side to the Mabo story. Though Aborigines and Torres Strait Islanders only make up a tiny proportion of this great country's population, and have little visibility in day to day life ... it's 20 years since the Mabo decision and I think we owe it to ourselves to do better, faster! It's a joke that peoples that have lived here for at least 40 thousand years don't have much of a say, even in a token way, in regard to their their ancestral territories and resources. My only criticism is the use of Deborah Mailman in the main female role. Yes, she's a great actress, and I'm sure that will help give the film legs ... but it would've been nice to see another Aboriginal or Torres Strait actress for a change. Poor woman seems to be every female Aboriginal character in every local film that requires one!